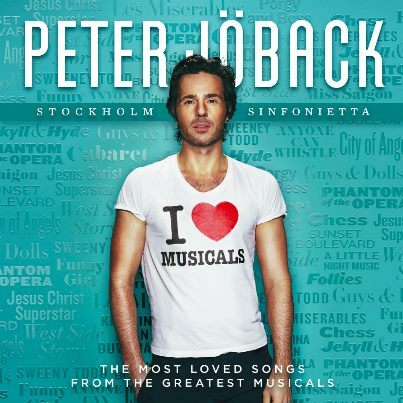 “I Love Musicals – The Album” is out now in Swedish shops. The album is also available through iTunes internationally except Japan, USA and Canada. It will be available in those territories next week. Above is the cover of the non-Scandinavian version of the album that is on iTunes. This has all the songs from the standard version except for “Annars vore jag inte jag” which was excluded because it is in Swedish. If you are from outside Scandinavia, you will need to order the physical album to get this track. It can be ordered from Bengans by clicking here. 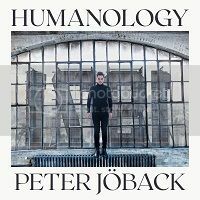 If you are in Sweden this weekend, Peter will be signing copies of the album at NK Ljusgården in Stockholm from 1pm on Saturday and at Åhlens Nordstan in Gothenburg from 2pm on Sunday. “Livet är en schlager” is a new Swedish musical based on the film of the same name from 2000, written by Jonas Gardell. The musical has been written by Jonas with music by Fredrik Kempe. The title roughly translates as “Life is a Eurovision song” and is about Mona as a mother-of-four living a dreary life with her unemployed husband. She is obsessed by Melodifestivalen (the Swedish contest to select the song to represent the country at the Eurovision Song Contest). Through a set of circumstances Mona finds herself living her dream life and performing at Melodifestivalen. When the musical was first announced back in March this year, it was also announced that Helen Sjöholm would be playing Mona and it has just been announced that Peter will be playing Candy Darling, Mona’s transgender brother. Peter has recorded a song from the musical already which is being released next week on his new album “I Love Musicals”. The song is “Annars vore jag inte jag” (Otherwise I wouldn’t be me). Helen has performed the song ”Som skapta för varann” (Made for each other) on Swedish television. The musical is expected to premiere in September or October 2014.